FREQUENT QUESTION #8: What can I do to get help for my abortion pain? 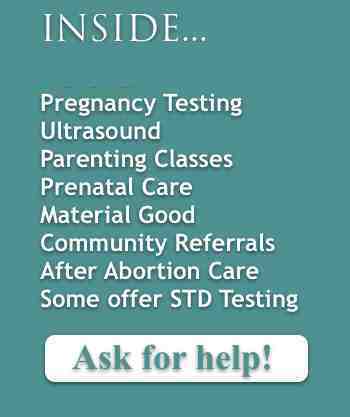 Can After Abortion Recovery Support Help? During early pregnancy, a woman’s hormone levels are very high (8 to 12 times higher than normal). These levels are even higher than the hormone levels at the end of pregnancy (40 weeks) and postpartum depression is a well-known event. When a pregnancy ends or is aborted, these high hormone levels drop rapidly (within 48 hours). This rapid drop disrupts several chemicals in the brain (neurotransmitters) and can lead to many unusual emotional reactions. Most of these reactions are intense in elective termination of early pregnancy because the beginning hormone levels are much higher and their fall is greater. If you have a history of depression, suicidal thoughts, premenstrual syndrome or postpartum depression, please let your medical providers know. These conditions can increase the possibility of post-abortion depression. Recent studies have shown that suicide attempts (and successes) are much higher in women after abortion. If you are experiencing emotional problems after an abortion, seek medical help immediately. Silence does not solve these chemical imbalances. Every woman reacts differently to their abortion or abortions. Those agencies that sell abortion services do not want you to know about the painful aftermath often associated with abortion. They even have psychological studies to support their statement that “post-abortion syndrome” does not exist. However, among the almost 4,000 pregnancy resource centers, those who offer after abortion recovery support hear from their clients of deep dark depression, feelings of shame and guilt and self-blame. It is common for some women to bury their feelings for years only to implode emotionally later. In a survey of 8,000 women who voluntarily took an online survey, 80% reported significant emotional feelings that follow the common Post-Abortion Syndrome or emotional crisis seen in P.T.S.D. To overcome your painful past of the dark secret of abortion, you may want to start by completing a short survey we offer. Are you hurting from a past abortion? Start your journey to healing now! Register for FREE!